Joy-recreation is something the orphans of war and poverty can always use, and our Founder’s always up for initiating it during her downtime. AWESOME! 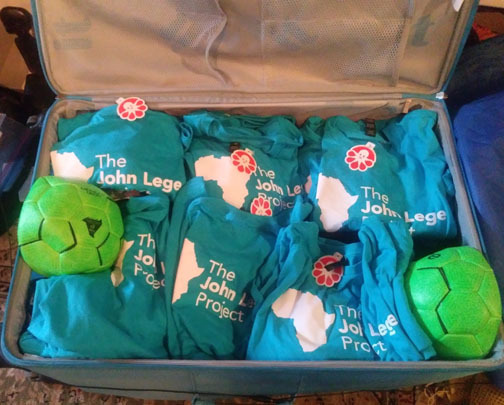 how our inner-city students peddled for African students in a sold-out Event. 16,000 “Internally Displaced People” live in Camps IN Bunia town; everything’s needed, and remarkably appreciated, especially with the simplicity of children. JLP’s CEO Candace, humbled by the JOY Plastic cups brings! War, or no war, beating drums call children to school. The UN is gone, and no NGOs are around; we’re where we’ve committed to be, where we’re most needed. War rages on between Lendu and Hema, and refugee camps litter the landscape; childrens lives’ are sad and difficult, providing Joy is a top priority of ours. We support sports, even during this war in Eastern Congo. Dalasgia (Luma) wins 3-0 against Ariwara, 2 local towns; and Congo Independence celebration followed. Ituri region is at war, but our CEO brought Frisbees to cheer up students in the midst of it; water, light, yes there’s essentials with priority, but JOY can’t be forgotten either. Namalu, Uganda: Portable Solar Light, "Waka Waka"
Where complicated infrastructure is impossible a "waka waka" provides the light needed for a child to study at night, who otherwise cannot! Bee passionate:) Donate! We'll set up Apiaries in Uganda, Eastern Congo and Cameroun. Frisbees for kids in remote areas with little else, accessible only by motorbike; our CEO-Founder, Candace, never bulks at discomfort in accomplishing our Missions. We're concerned about their hearts, as well as their water and light!! And doing whatever it takes is nothing new to our CEO Candace . Next you'll see Frisbees piled thus, bringing Joy to village children. 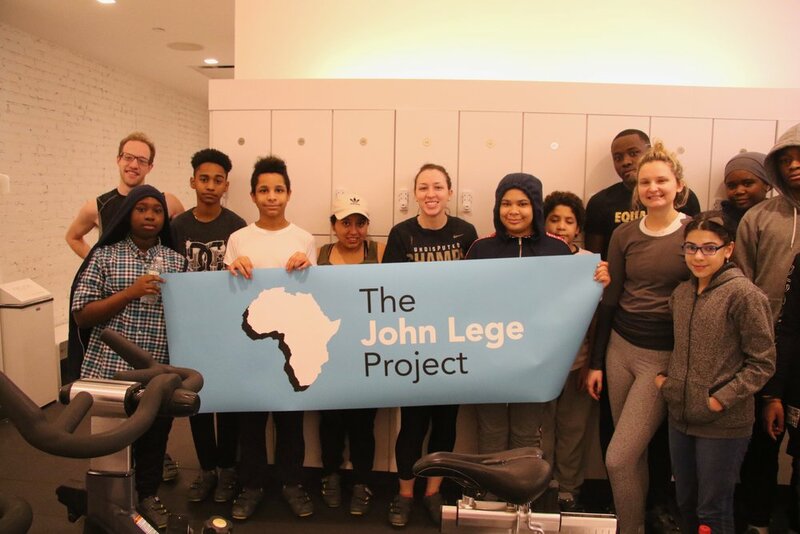 JLP CEO-Founder Candace w/Physical Director "Boys Club of NYC", Matt Hickey, and Harlem's Amar Kelly holding our brochure, created the most energetic Charity Ride ever at Soulycycle. 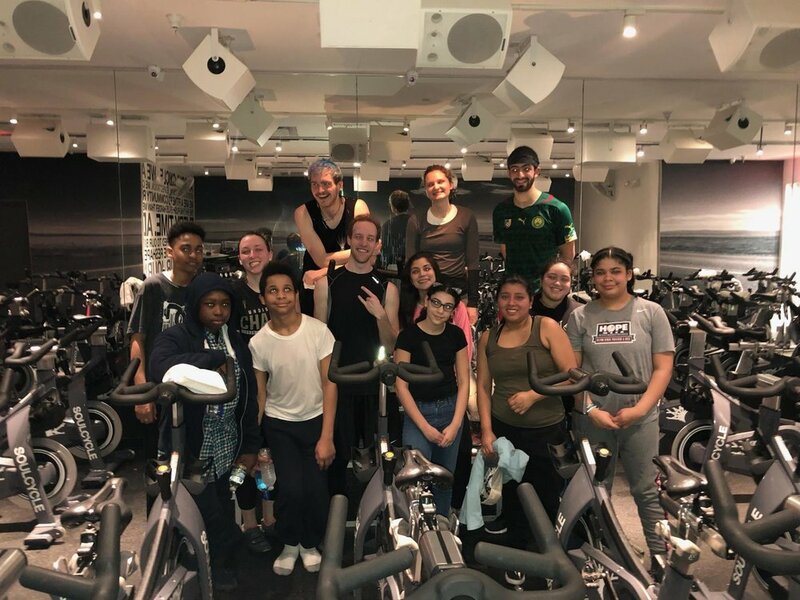 The Boys Club of NY and the Bronx Early College Academy students along with many others rode their hearts out to raise funds for our Projects in Africa. Children's rights and Education, especially girls, who have it hardest, is our primary concern; not just physically improving their schools and environment, but educating their teachers, leaders so signs like this don't exist. And why a presence on the ground is needed. Water isn't just a problem in Capetown, but all of Africa, and worse each year. A Dutch NGO " Tusaidiane" is trying a computerized system; we'll be "water harvesting" at St. Anthony's Girls School in a more culturally sensitive, simpler way. Bees are a global crisis; hive collapse is everywhere but Africa, yet its youth needs job. An Apiarist in Africa can support a family or two, honey's an expensive commodity in their capital cities. And we might be needing African honey soon!! Walter's Apiary at Namalu School, Uganda. We'll start other Beekeeping programs in Uganda and Eastern Congo this year. Nduye, Eastern Congo "Efe Pygmies"
The exploitation of pygmies is an old concern of our Founder's; she partnered w/St. Joseph de Cluny Sisters in Cameroun to build Kaigama Agricultural Center for the Baka. Cluny Blog: http://kaigama-bertoua.blogsport.fr/2015/02/connaissez-vous-candace-sharsu.html Now JLP will address education for Efe pygmies in the Itrui forest, and improve their Clinic. 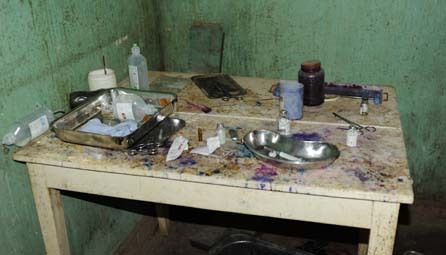 New Toilets-showers are important; as is the heart and hope, and for that, Chess sets & "Queen of Katwe" Dvd. 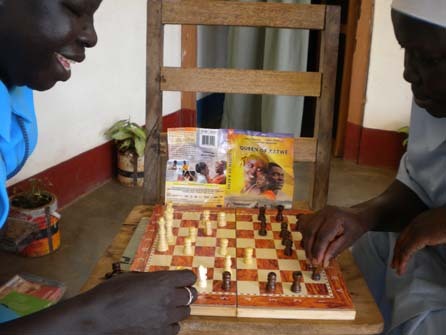 True story about a poor Ugandan girl who became a Chess Master.